Discover all the secrets of the Camino de Santiago if you plan to cross it together with your dog and all the things you have to consider before embarking on the journey. If you are one of those who can not part with your pet on vacation and want to share with him the experience that is the Jacobean Route, we explain what you have to take into account before embarking on the Camino de Santiago with dog. 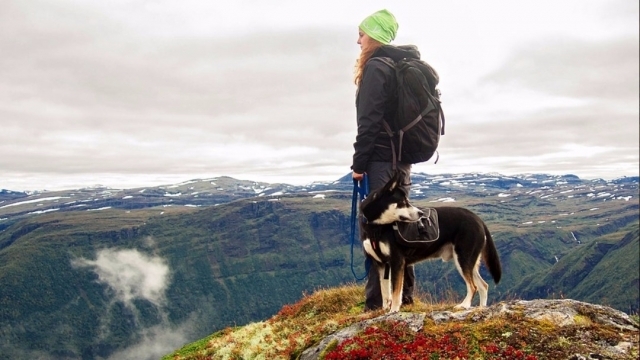 Doing the Way with your dog entails some conditions that will make the trip more complicated, having to take some previously decided important issues, such as where to stay and if in these accommodations we can sleep with our dog. The advice of a veterinarian is also always important when making the decision to take the trip with our partner, and it is who must have the last word after examining it. On the other hand you have to take into account that there are many accommodations that allow dogs, but there are also those who do not admit them, so it is convenient to have your route very planned. Be careful to choose the date, especially with times of very cold and very hot; Some races may affect them a lot more than we do. In spite of all the necessary preparations, to make the Way with your dog will give you both a great satisfaction. To him to spend some unforgettable days in the natural environment and to us to check in first person everything that enjoys the experience. Take care of your dog during the trip. Area-specific massage or care, since joints and pads are sensitive areas that are very likely to resent continued intensive exercise. Program of exercises to prepare the trip with him. It is advisable to deworming your dog before doing the Path both inside and out. Anti-flea collars and ticks are essential. Remember that it will be surrounded by nature in its pure state and our eye can only perceive a part of it, there are thousands of small beings that find in the hair and skin of our dog the paradise where to live and / or eat. Keep in mind that your dog also undergoes remarkable physical activity, so cares on the way have to intensify even more. If you are one of those who can not live without your faithful companion and want to enjoy your experience in nature doing the Camino de Santiago with dog, quiet, no problem, we propose a few accessories ideal for transport (and their Things!) That will not hinder you. You will see the difference! 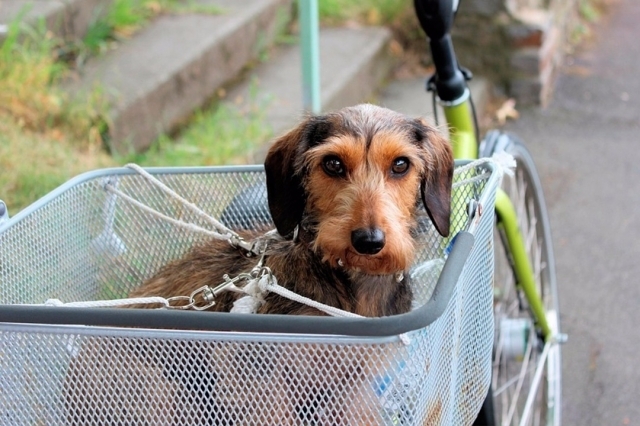 The dog has almost no space (especially if it is a front basket). We can not maneuver well with the bike, it is easy for us to lose stability and the turns are especially sensitive with our animal on its back. The dog, like you, can always accompany you on foot, but you have to be considerate of your partner. If you were both walking the thing would be different but the capacity of displacement that you have climbed in your bike is not comparable with the one that has "to paw", remember that it is not a cheetah. In addition, the resistance and the needs of running depend on the race so when making it go with you loose you can be forcing more than you imagine and more if the effort is prolonged for days at each stage. You can rest (you have space to lie down). You can go up and down (as it is a skeleton with cloth cover whose door you can leave open, similar to the Quechua tents). It is protected in case of cold or rain. It allows you to stay overnight if the conditions accompany you. In addition to the carts or trailers, there are numerous anchors and straps to make the Camino de Santiago with your dog for more affordable prices, but we must always follow two basic premises: security (both for our pet, us and the other pilgrims) And comfort. 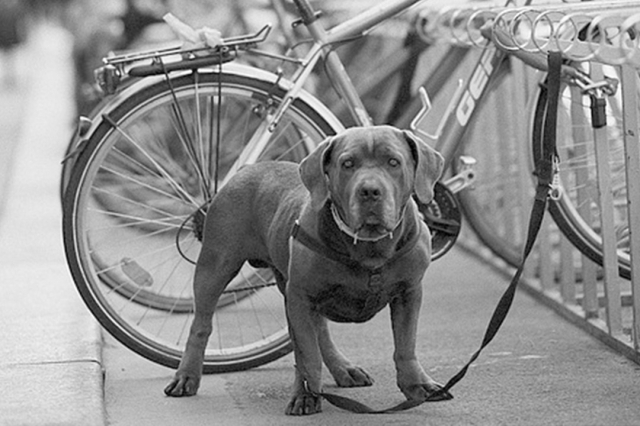 We can also find novel supports with a strap to hook your bike, which prevent your dog from hitting or pulling between the wheels of the bike. This will avoid complications and possible accidents. Look at this! Like everything in life, the best thing you can do is to take the Road with peace of mind because, for many plans you have made, your dog is an animal and can arise needs that you will have to attend. And you are responsible for the welfare of the two. With this we want to say that, when choosing the way in which you are going to do the Camino de Santiago on bike, you must know your 'friend' well to choose the most appropriate system. Carry your dog loose on the Camino de Santiago: be very careful! It is true that many animals are accustomed to walk close to their master and are excellent pilgrims but the different roads cross areas that are prohibited by law to take them loose (Natural Parks or Regional Parks). These areas are also very crowded, which can annoy some other pilgrim or are near roads and can pose a danger to your pet or drivers. And now, encourage and organize that there is nothing better than sharing such a gratifying experience with your best friend. Buenas tardes; pensaba hacer el Camino de Santiago con mi perro(labrador); pero me encuentro el primer obstáculo de cómo llevarlo desde Jerez....Me gustaría conocer de experiencias en este sentido de peregrinos, así como de consejos durante el camino. Dispondría de 10 días. Hola José. Nosotros empezaremos enl 30 de septiembre en Astorga. Hay un blog que se llama “perregrinos” hay bastante información. Soy de Barakaldo y hasta Astorga me lleva un amigo que me hace el favor y luego se vuelve. Luego en tren desde Santiago con una escala. Para poder llevarlo en tren te aconsejo visites la web de Renfe pero resumiendo no tiene que pesar más de 10kg y tiene que ir en transportin. Por lo que he leído no son muy estrictos. Yo conprare en Santiago un transportin. Resumiéndote después de darle vueltas dormiremos bajo la luna creo que es la mejor opción. Si tienes dudas y te puedo ayudar te paso mi correo. Eso son los dos grandes obstáculos a los que me enfrentado. Un saludo y si os decidís buen camino.